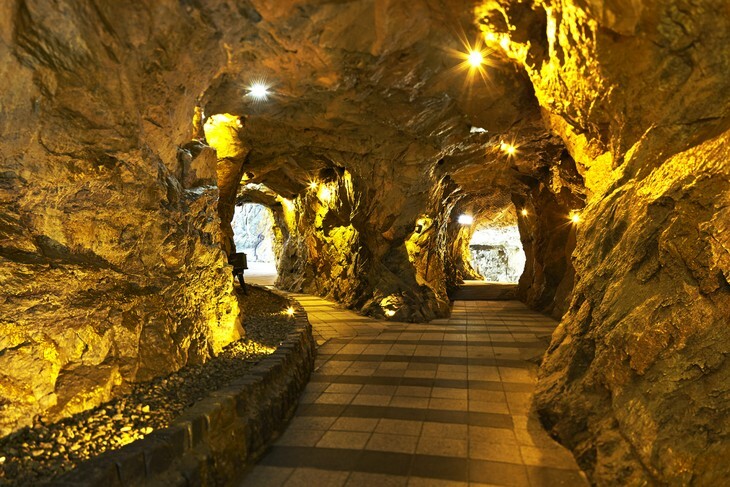 (VOVWORLD) - Gwangmyeong Cave in Gwangmyeong City is the only cave in the Seoul metropolitan area. It is just 15 minutes from Seoul by tube and 20 minutes from Incheon International Airport. 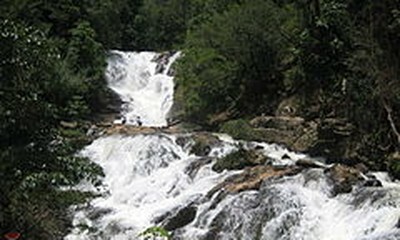 Actually an abandoned gold mine, the cave is today a large cave themed park which attracts 1.4 million visitors a year. Gwangmyeong Cave is 7.9 km long and 275 m deep. The cool air in the cave makes it especially popular in summer, but its many exhibits and activities keep it interesting all year round. Gwangmyeong Cave, formerly the Siheung Mine, was first exploited using forced labor by Japanese colonialists in 1912 during the Japanese colonial rule of Korea. It played a role in Korea’s modernization and industrialization. After being shut down in 1972, Gwangmyeong Cave was used as a storehouse for salted shrimp for nearly 40 years. 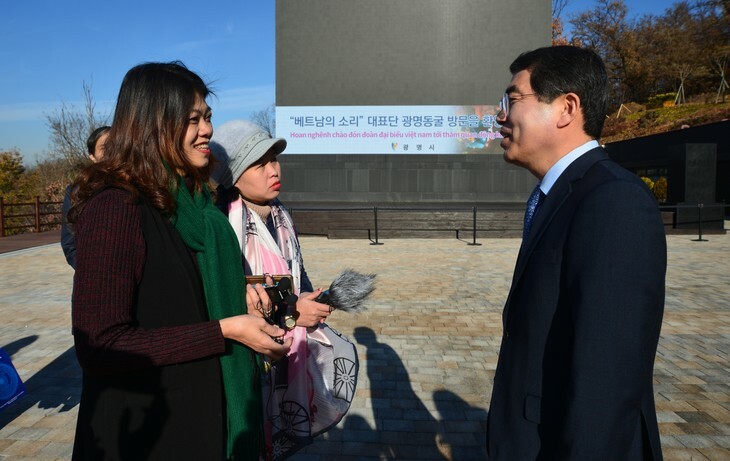 In 2011 Gwangmyeong city purchased the cave and transformed it into a cultural tourism site. 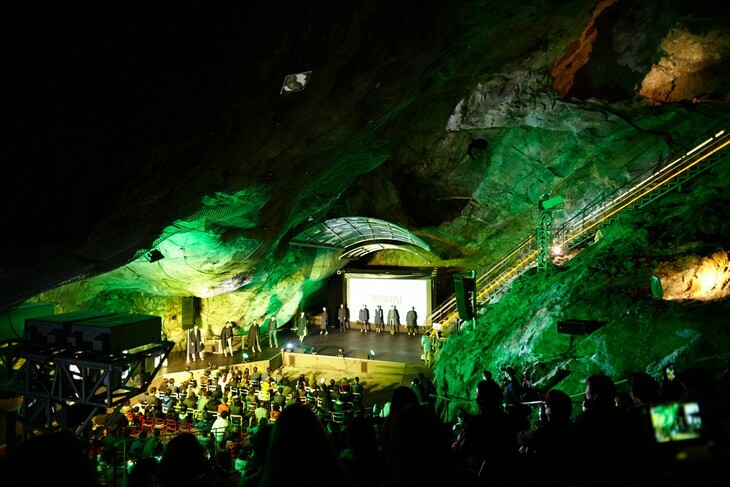 Thanks to the city’s efforts, the cave is now ranked as Korea’s best cave theme park. 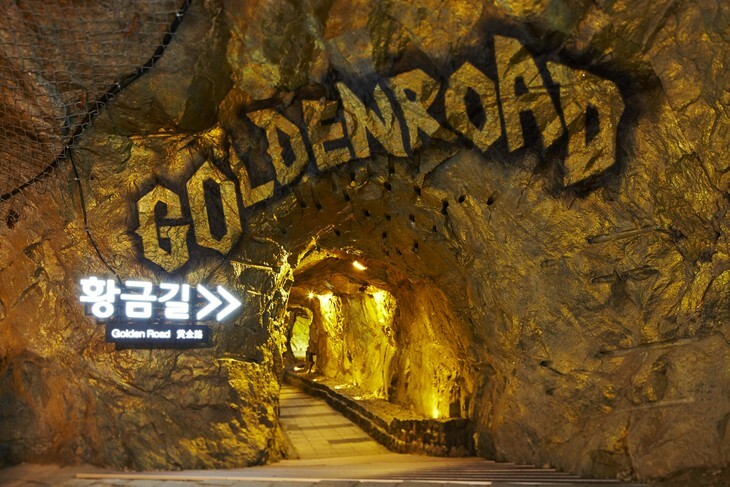 One of the most popular sections of Gwangmyeong Cave is the Golden Road with its Golden Waterfall and the Palace of Gold. This area is home to Aixia, the goddess of abundance and the official mascot of Gwangmyeong Cave. They say if you touch the golden hammer and gold bars she holds in her hands, you will have a prosperous and happy future. 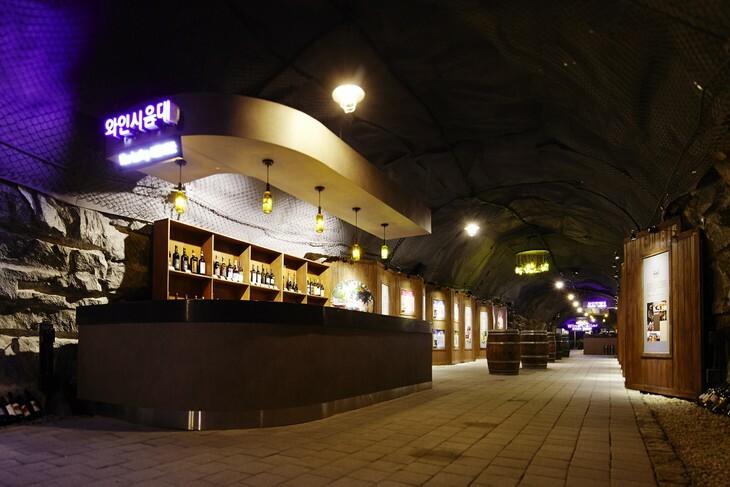 Inside the cave, there is a Wine Cave that holds more than 170 wines produced at Korean wineries. This is the only place in Korea where you can taste and purchase wines from across the country. 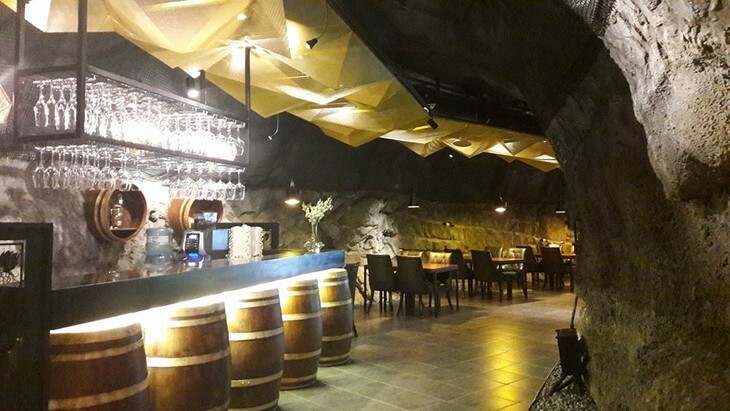 The cave is divided into the wine cellar, where the wines are kept at the optimal temperature, and the tasting room, where visitors can try and buy the wine. Maru de Cave, a vintage-themed wine restaurant with an ambience unique to the cave is a space for family or group gatherings. 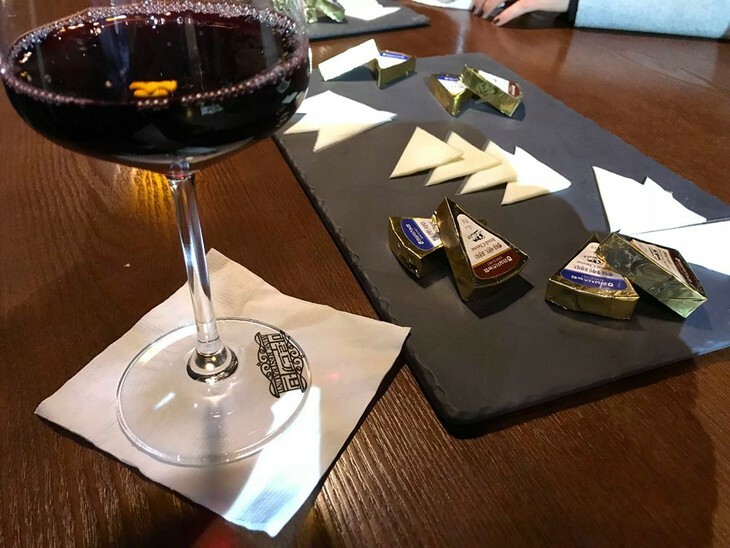 The restaurant offers a European menu with wine. The Cave Art Center is another attraction where the works of art are spotlighted against a backdrop of darkness. The Gwangmyeong Cave International Fantasy Festival is an annual festival held by the city of Gwangmyeong in partnership with Weta Workshop of New Zealand. The cave features a huge dragon named Lord of the Cave, the largest dragon statue in Korea, 41 meters long and 800 kg in weight, a life-size Gollum replica and the staff of Gandalf from the Lord of the Rings films, created by Weta Workshop. 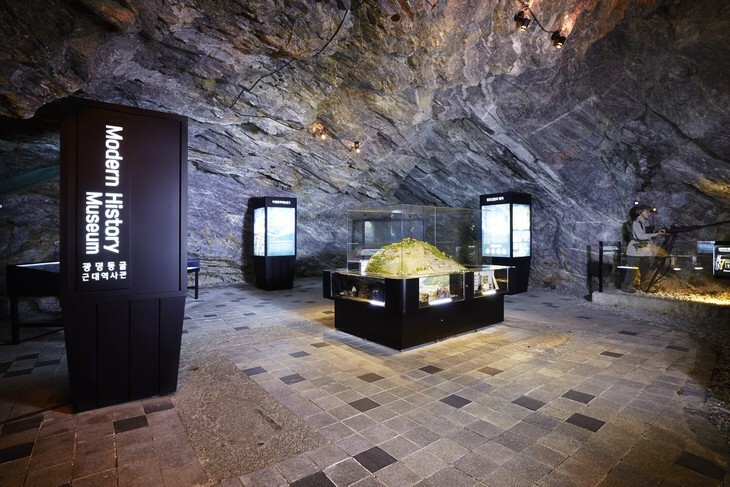 Visitors can also visit a history museum in the cave which recreates the working conditions of the miners using a state-of-the-art system that includes graphics, images, and music. A Cave Aqua World, an Underground Lake, and a Black Light Performance every weekend add to the fun. Seeing is believing. Come to Gwangmyeong Cave and explore it yourself.